Fronarth Boneddiges has been Youngstock Champion at Lampeter, Glanusk, Northleach, Three Counties Malvern and Royal Welsh shows. At The Royal Welsh she has been a winner 4 times, once Female Champion, twice Reserve Female Champion and in 1999 was George Prince of Wales Cup winner and Supreme Royal Welsh Champion. 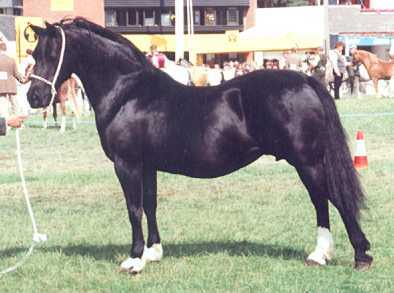 Boneddiges has been Champion at numerous major shows including:- Royal of England, Three Counties Malvern, Northleach - twice, Pembroke County, Meirioneth, United Counties, Aberystwyth and Cardigan.